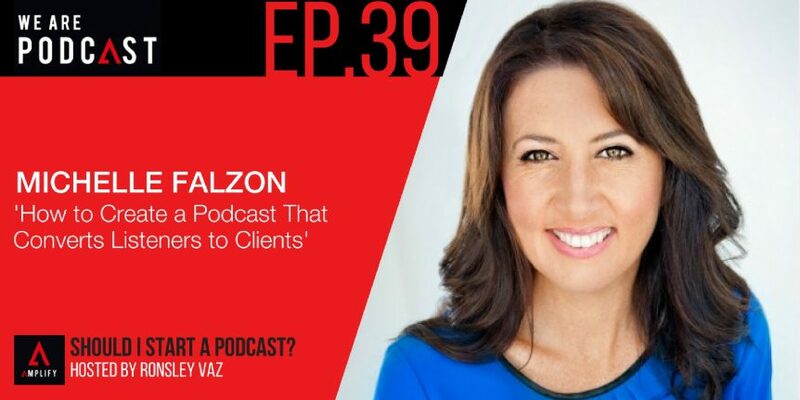 Michelle Falzon is the co-host of Content Sells podcast for a fortnightly dose of practical, educational advice on how you can attract, convert and keep your ideal clients using smart content marketing… and all without being too salesy or burning yourself out. It's a podcast that cuts to the chase when it comes to creating content that sells. She has more than 25 years' experience in marketing and communications from her early days in TV, radio and press (documentary films, TV and radio commercials) through to print (book publishing, magazines, and marketing collateral) and on to her early adoption of digital marketing in the late 90s and early 2000s (websites, social media, CPM and PPC advertising, conversion funnels, eBooks, quizzes, online course creation and more). Combine that with several years specialising in event marketing for globally renowned speakers and thought leaders, and she has developed a unique combination of skills and experience to help you leverage your content, communicate your message and reach your market. Having a podcast that somebody can stumble on or a platform like iTunes is awesome. That can come into somebody’s field of awareness. The consideration phase. You’ve got the time depending how long your podcast is. You’ve got the time to really expand your idea, to give them value and that’s what people are looking for. So, a podcast gives you that platform to really help people consider you as a viable alternative. Once you’ve got a community or customers, having a podcast and being seen as the top leader, continuing to add value after the sale or continuing to even remain the top of mind is how we get the loyalty happening.